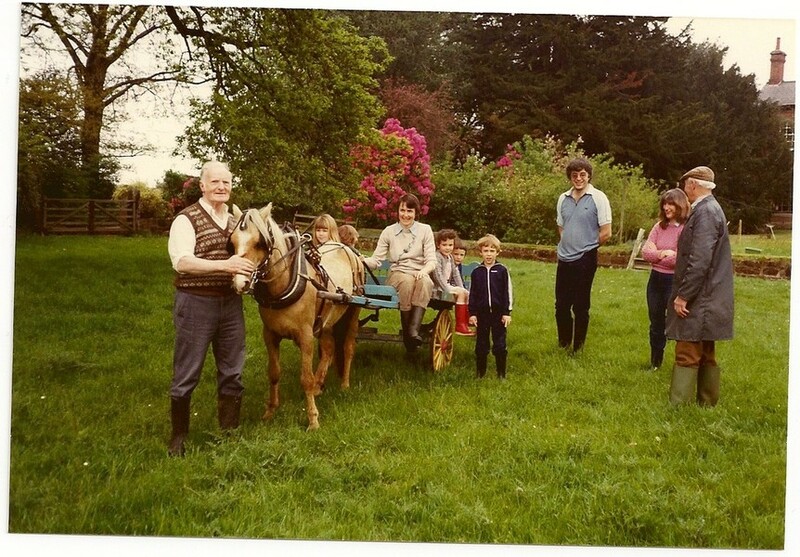 Our first memories of Sibbersfield are from August 1975 when we helped my parents move Shirley and Michael’s furniture into Sibbersfield, as they were away working in America. 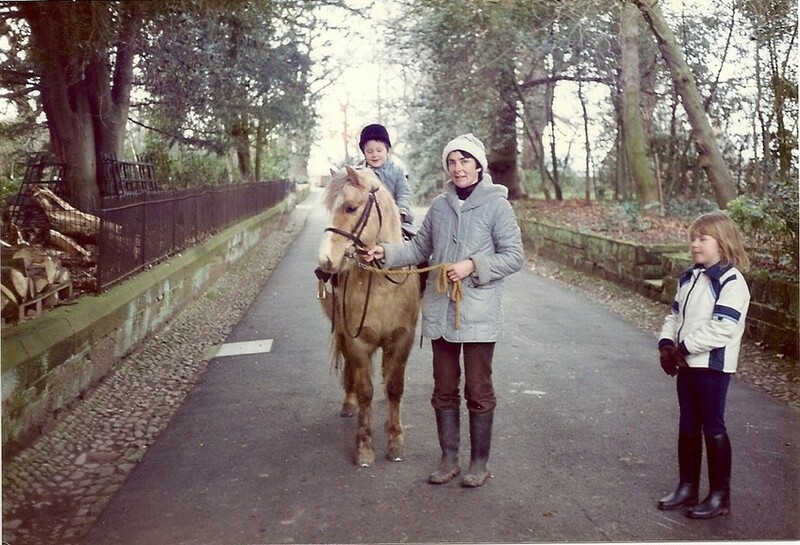 I remember it being very dark as we arrived with Dad driving the van down Sibbersfield drive. As we got out of the van Percy was there to greet us – welcoming us to the Hall, doffing his cap and calling us Sir and Madam! We have memories of that first Christmas being freezing cold everywhere, apart from the library where there was a roaring hot fire so everyone was reluctant to leave the room. We also remember the lift, that went from the Butler’s Pantry to what became Mum and Dad’s flat, although this was removed fairly soon after Shirley moved in. 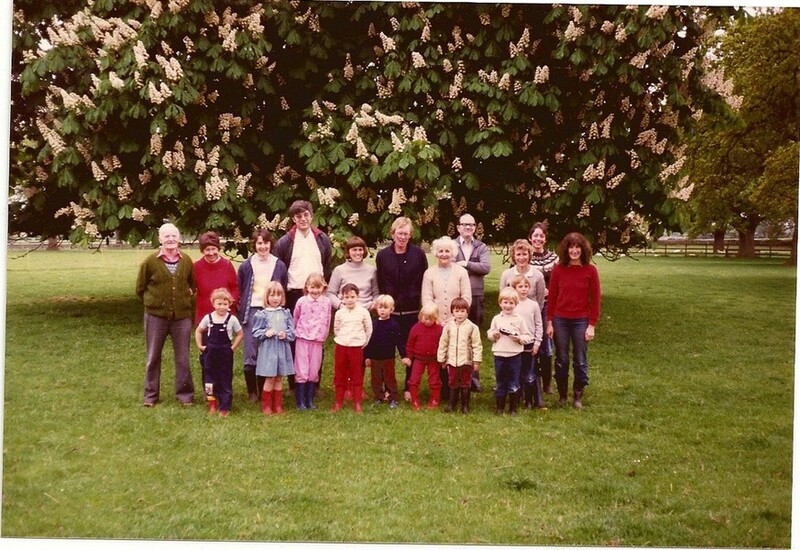 Since then we’ve spent many wonderful times at Sibbersfield - Christmas, Easter, Summer holidays and the annual ‘Whitsun’ camp which became somewhat of an event for lots of our family and friends with several caravans and tents being erected on the field. Over the years we’ve seen many changes to Sibbersfield both internally and externally. Our main memories include several DIY or gardening projects that we were involved in! Dave has vivid memories of knocking down a wall with Michael to make the ensuite bathroom into family bathroom. This apparently happened at Easter but they had to wait until the Spring Bank holiday before they could remove the bath, as they needed four strong men to carry the bath downstairs! He also remembers trying to knock down a wall in the pantry only to find it too solid around the safe and then having to re-plaster it. Sanding the floors in the hall and library was another memorable project. Despite wearing masks and putting old sheets wherever possible, dust seemed to go all over and stay with you for days afterwards. 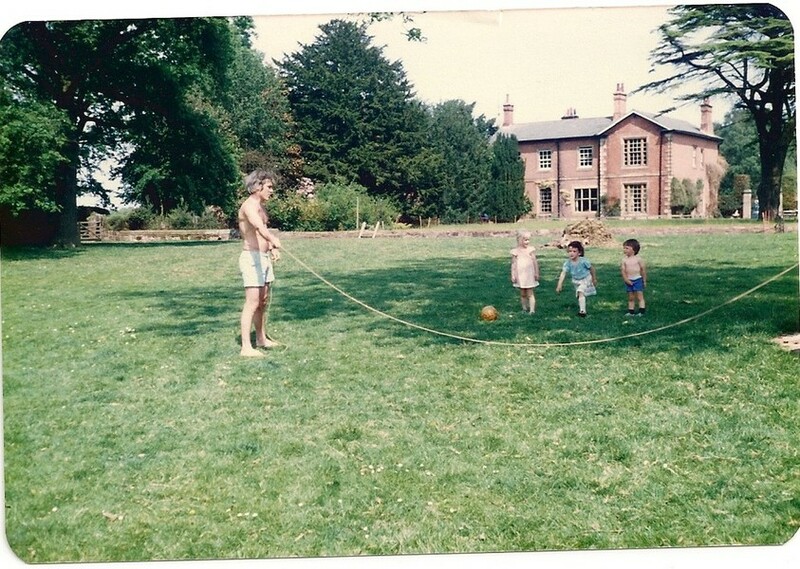 We spent lots of time outside at Sibbersfield helping to weed and clear the drive, tidy the vegetable garden, feed the animals, round up the sheep and whenever Dave was around there was always a tree to take down! Like the old silver birch struck by lightning where a large portion had died and Dave was up the tree trying to remove some branches with a chainsaw between his legs – it’s amazing he’s still here to tell the tale. Another lasting memory is that of felling the oak tree. 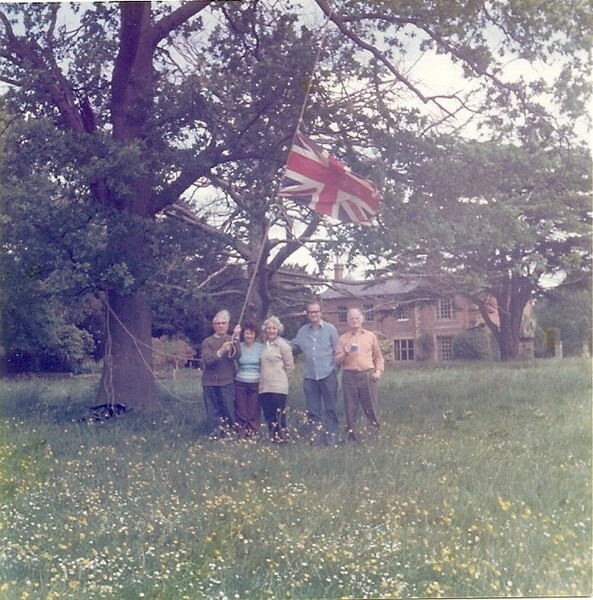 Dave and Bob, being masters in the art of tree felling, had asked Shirley where she would like the oak tree to fall. She had said that it didn’t really matter as long as it didn’t fall anywhere near the 5 barred gate. They started off by cutting an appropriate wedge in the trunk of the tree to make sure it fell where it was supposed to, but unfortunately things didn’t quite go to plan and it fell right on top of the gate! We have lots of lovely memories of my mum and dad at Sibbersfield as they were often there at the same time as we were. It was so lovely to all meet up and be together. 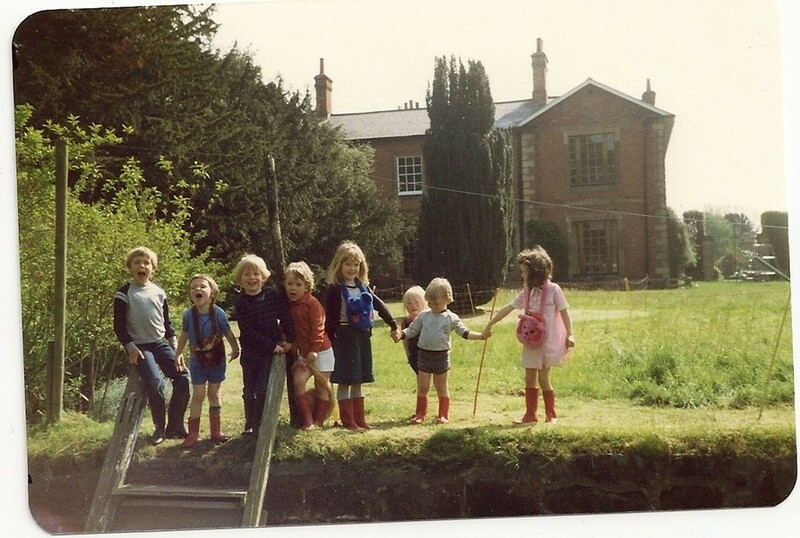 Our children, Rowena born in 1977 and Garreth born in 1979, also have fond memories of Sibbersfield. They loved to visit to play with Emily, Matthew and Jo and to go to Grandma and Grandad’s flat and have a cup of tea in bed or eat pancakes and syrup after tea. They used to love it when Grandma had a bonfire. They would follow her like the pied piper, then stand and watch as she kept the fire going and baked them potatoes. They would also play with Will and Sylvia’s children and then Sue and Richard’s boys. 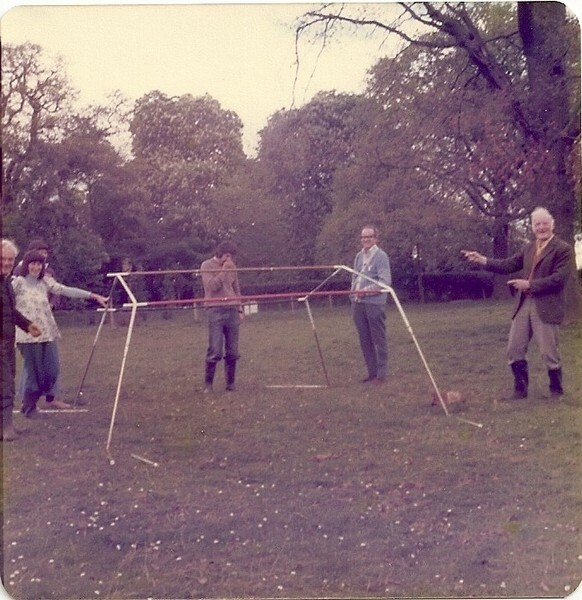 There were also several organised games of rounders or cricket on the lawn, with the adults joining in, and then of course later on there was always the horses to ride and help groom. 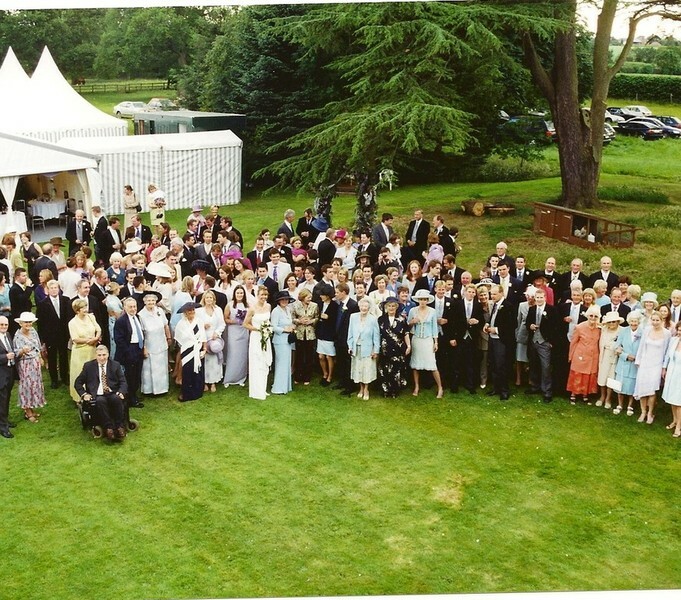 Probably the last memory we have of Sibbersfield was the wedding of the year (2002) when Emily and Tom tied the knot. It was a lovely warm day and the sight of the marquee on the lawn was quite magnificent. There were well over 100 guests who were serenaded by a West Indian Steel Band outside in the open – what a fabulous day!